Tires are some of the most basic car parts, but they impact far more than most realize. Worn or poorly maintained tires can negatively affect fuel economy, handling, and driving safety. Make sure your tires are in top form with regular service from INFINITI of the Palm Beaches. You should have your tires rotated every 5,000 to 8,000 miles. Some cars will need rotations more frequently than that, so make sure to have your tires checked when you come in for your oil change. Having your tires rotated regularly will help extend their lifespan. Most tires need to be replaced after about five years. Both overinflating and underinflating your tires can negatively impact your gas mileage, so try to keep tire PSI at the manufacturer’s recommended level. Why is my tire maintenance warning light illuminated? What causes car tires to wear out? 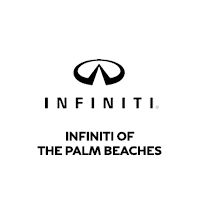 Whether you need your tires to be rotated or replaced, you can trust the INFINITI certified service team at INFINITI of the Palm Beaches. Schedule a service appointment or contact us with any questions.